Comprised of almost 70 staff members from across Northwestern, the four cross-University action teams have been working diligently throughout the summer to develop recommendations to enhance the staff experience. The teams spent considerable time analyzing data and understanding the Staff Survey results. They also held dozens of focus groups and interviews to develop a deeper understanding of challenges and opportunities. In August, the teams met with Executive Sponsors Jonathan Holloway, Craig Johnson, and Pam Beemer to provide an update and validate their direction. The teams also shared ideas and solicited feedback from NUSAC committee members. The teams are on track to present recommendations to the Executive Sponsors this fall. Please visit the Staff Survey website for information on the focus areas and membership of the cross-University teams. Also throughout the summer months, schools and units have been creating their own complementary action plans. Four 'peer-to-peer' exchange meetings are scheduled, during which leaders from schools and units with similar priorities are getting together to share action planning ideas. If you have any thoughts or questions you would like to share with the Staff Survey teams, please email staffsurvey@northwestern.edu. Tuesday, October 16, 11 a.m. - 2 p.m.
Thursday, October 25, 11 a.m. - 2 p.m.
To wrap-up Fiscal Year 2018, exempt staff and librarians are reminded to enter their time off in Kronos. This includes sick, vacation, personal floating holiday, and bereavement time. The deadline for managers to approve exempt employees' August 2018 time records is Wednesday, September 12. Any retroactive time entries for months prior to August 2018 must be entered in Kronos no later than Wednesday, September 12, to ensure correct accrual balances for the fiscal year end. Access to the Kronos system and instructions for entering and approving time in Kronos. For further assistance, please contact Timekeeping Support at payroll-time@northwestern.edu. As of September 4, any school or unit that has opted in with HR Operations to submit their payroll forms via an electronic upload may do so, replacing the need to mail or deliver a hard copy to 720 University Place. In addition to providing automatic email notification when forms have been received and processed, the upload will also accept digital signatures on most forms. Before submitting any payroll forms online, please check with your school or unit administrator to see if your school or unit has opted in at this time. If your school or unit has not opted in, please continue to submit payroll forms via hard copy. 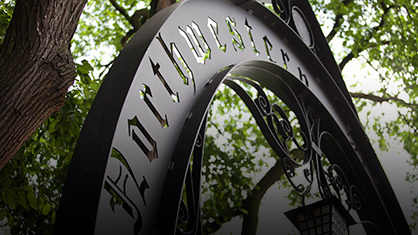 If you have questions regarding the process for faculty appointment/position forms, please contact the Office of the Provost at facultyrecords@northwestern.edu. If you are the administrator of an interested school or unit and have not yet discussed uploads with HR Operations, please contact HR Operations Manager Julie Phelan via email or 847-491-4860 with any questions. Learn more about these and other HR Operations and Payroll changes. The HR Talent Acquisition team is undergoing an organization redesign. The redesign is driven by our underlying strategy to build efficiencies and capabilities in order to create more value and streamline the services we provide to the community. Over the course of the next few months, more details will follow about the change and how you can partner with us. Questions about the redesign should be directed to Caroline Onagan, Director of Talent Acquisition, at 847-467-3289 or caroline.onagan@northwestern.edu.